Oregon and Stanford: Will the evil empire rise again? 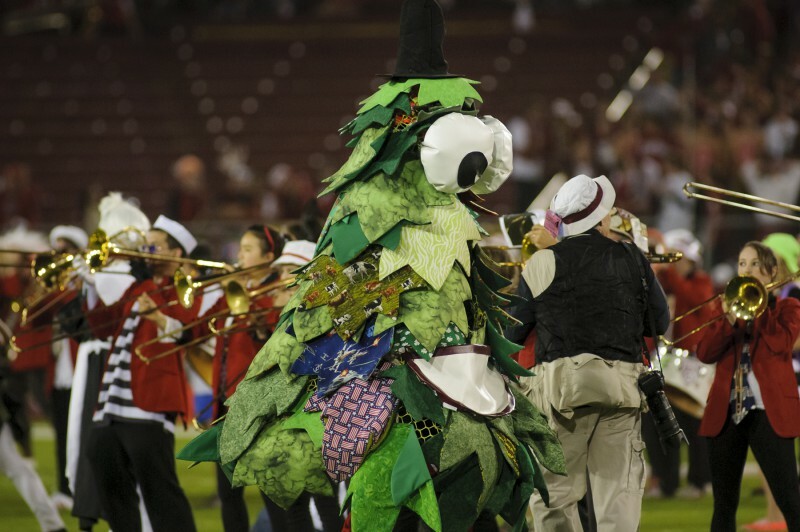 Stanford Stadium, November 7th, 2013, midway through the third quarter the Cardinal are shellacking the Oregon Ducks. My old college buddy, Ming Louie, and I sit in the stands, enduring the taunts of Cardinal fans. The wine and cheese crowd have never had it so good. Earlier, the Stanford band had poked fun at the Ducks, blaring out the Darth Vader theme, the Eye of Mordor marching down the field. We’re the evil empire, they’re the pluckly rebels: but in truth tonight, they’re the storm troopers and we play like Jar Jar Binks. Stanford dominates on both sides of the line of scrimmage. Their offense blows the Oregon defenders back two yards on every play and on offense Marcus Mariota runs for his life on gimpy legs. I pray he won’t be severely injured in the onslaught. Halfway through the fourth quarter, we leave the rollicking stadium in search of a dive bar with cheap beer and no television. Alas, there is no such place in Palo Alto. It’ll be a different game this year. The Stanford defense is formidable, second in the nation in scoring defense, but the Oregon offensive line is healthy and more importantly, so is Mariota. Oregon can score on anyone. The major key for the game will be how the Oregon defense handles the Cardinal offense. Kevin Hogan is steady, but Stanford has always relied on its monster offensive line to open holes for their bruising running backs. Tyler Gaffney is gone to the pros and the running game doesn’t scare opponents this year. The Oregon defense doesn’t scare opponents either. In the Pac-12 conference, Oregon is sixth in scoring defense, 9th in total defense and 10th in rush defense. The real breakdown is on third downs. Oregon ranks dead last in preventing their opponents from converting third downs. 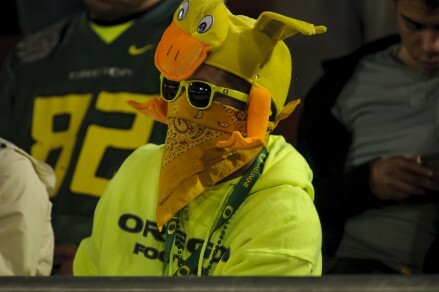 This year, The Oregon defense still searches for its identity. Don Pellum in his first year as defensive coordinator is more conservative than Nick Aliotti The Ducks often drop eight and rush three linemen, rather than blitzing a backer. Over the summer, three linebackers: Oshay Dunsmore, Tyrell Robinson and Rahim Cassell left the team. At least two of the three would probably have made the Oregon two-deep and contrary to popular opinion, Oregon lacks quality depth at linebacker. Although Joe Walker has gained a step since last year and makes plays, the Ducks don’t have a Kiko Alonso or Clay Matthews flying to the ball. Tony Washington has less opportunity to strut his stuff and rush the opposing quarterback. Whether this is by design or necessity is debatable, but if Oregon wants to contend for a National Championship, the defense must come together and play a complete game against the Cardinal. The past couple of years, the Oregon-Stanford game has been decided by less than a touchdown, but this year, the defense will improve and Duck Vader will rise up and defeat the not-so-plucky Cardinal.